Car breakdowns are nightmares. Most of the times they happen when you least expect them and when you need to use the car the most. Or maybe you were traveling somewhere and the car develops a mechanical problem in the middle of nowhere leaving you stranded on the side of the road. When this happens, do not let it ruin your day or miss that important meeting. 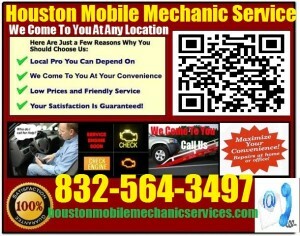 Simply pick up your phone and call a mobile mechanic. There are so many advantages of these mechanics, and we will tell you know why you need to call a mobile mechanic Sugar land Texas Call 832-564-3497 The Best Pre purchase foreign vehicle inspection review. Mobile mechanics are relatively cheaper compared to the others. While this is not always the case, you can save up to 20% or even 40% of your hard earned money with mobile mechanics. The reason why they are more affordable is they do not have a fixed physical garage. Therefore, their cost of doing business is significantly reduced. You might be worried that by charging you less than regular mechanics, these mobile ones are not competent. Well, if you do your homework right and you look for referrals from the right places, you will be able to find mechanics with years of experience and that are qualified to repair your car. Another reason why you should consider mobile mechanics is the convenience they offer. Take this for example, your car breaks down in your garage. Instead of you calling a tow truck to have it towed to your favorite mechanic, you simply call a mobile one, and he or she will arrive at your place in no time, fix your car, and all will be well. There are so many reasons why you should consider a mobile mechanic instead of a regular one. 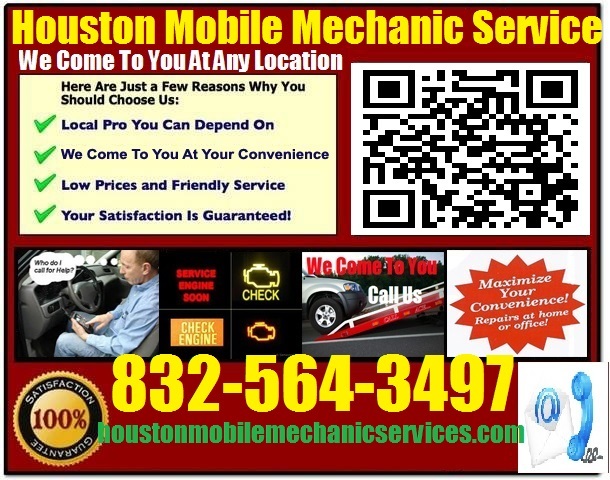 We offer mobile car repair services and also pre purchase car inspection Sugarland. Also, if you need Foreign auto repair Sugar land TX, just give us a call.